Nagpur: The long winding road for applicants seeking free admissions under the Right To Education (RTE) Act quota is finally over. On Tuesday, the education department will start the first (of two) step involved in the online RTE lottery . The RTE lottery software uses a unique algorithm that gets its initial starting grid by numbers chosen by students. This is the first step that will be completed on Tuesday itself in a public function. The lottery grids are filled by randomly selected number, a process in which the public too participates. As in the previous years, the practice is to place four separate bowls filled with paper chits containing numbers. Children from the audience are called to choose the chits and read out the numbers. The numbers are verified by authorities and then entered into the grid. This entire process is videotaped to ensure complete transparency. Once the grid is complete it is displayed on a large screen and the people are asked to click a picture, if they want it, of the screen. These grid numbers will then be sent to education department headquarters at Pune where it will be fed into the lottery software. The second step is the conduct of lottery itself and is likely to be done within a week. Selected parents get a SMS on their registered mobile numbers informing them of their child’s admission status. Premchand Raut, coordinator of Sarva Shiksha Abhiyan (SSA) in Nagpur district said, “Everything is on track for the RTE lottery process and we have weeded out all duplicate entries. Due to this, the final tally of applicants has dropped to 13,640.” TOI had reported about the issue of duplicate and even triplicate form submissions done by over 300 parents, in a futile attempt to cheat the online lottery system. Since the software allows only one form to be submitted per registered mobile number, some parents used different numbers to beat the system. However the second level of verification, that happened in Pune, detected the fraud. This delayed the lottery process by three days in which the education department weeded out the extra forms. Nagpur: Some unscrupulous parents trying to gain unfair advantage in lottery for admissions under free quota of Right To Education (RTE) Act quota, by submitting their child’s name more than once, have now held the entire process to ransom. The education department has found that around 300 forms submitted online in Nagpur district are ‘double and even tripple entries’, something which is not allowed. Officials say submitting forms more than once is a deliberate act, since the online software allows only one mobile number to be registered per application. Anil Pardhi, deputy director of education (Nagpur division) said, “We were informed by the Pune office about this problem, and it is extremely unfortunate that some people have resorted to these tactics. Now the process of weeding out these forms will begin but we will give benefit of doubt to everyone and help them correct this error.” Pardhi’s department has now given such parents till Friday to inform the education office which one of their applications form they would want to be kept in the lottery pool. A media statement issued by the Nagpur District Education Office (Primary) said that if parents do not approach education officials, then only the last form submitted by them will be deemed as valid. This 48-hour delay in the lottery process will not amount to much the scheme of things as the department is ready with all other data. Since entire application process this year was online there is no requirement of manual entry, as was the case earlier. But this ‘double entry’ submissions has now raised another issue which will have to be tackled at the software development level itself. Bombay International School catches affluent students applying for admission under poor’s quota. Six of the seven students who sought admission to Malabar Hill’s Bombay International School under the Right to Education (RTE) Act hail from well-off families with some apparently enjoying holidays abroad, preliminary background checks conducted by the school suggest. The school rejected the six applicants earlier this week and has sought more details from the parents of the lone student whose admission request is still under consideration, according to a board member who oversees admissions at the institution. Mirror could not verify the information with Bombay International principal Mona Seervai. 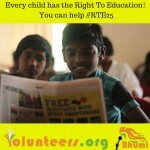 The RTE Act guarantees free education to children from poor families. All schools, be it private or government aided, have to reserve 25 per cent of the seats for such children aged between 6 and 14. As part of background checks, Bombay International appointed an agency to conduct online searches for the seven applicants. Some Facebook profiles, which the agency believes belong to family members, had pictures showing six applicants in plush apartments and at foreign holiday destinations. “We did background checks as most cases [applications] seemed suspicious. We scanned their Facebook profiles and other online pages and found that six students were living in good localities and had even vacationed abroad. Such students cannot seek admission under the RTE Act, which offers free education to children whose parents earn less than Rs 1 lakh a year,” said Mihir Javeri, a board member at Bombay International. BMC education officer Prakash Charate said the civic body was not aware of any such cases. “If there are any such cases, the school concerned should alert the education department,” he said. Kohlhapur: The district primary education department only registered a meagre 400 applications by May 6 for over 3,000 seats made available for children under the Right To Education Act. District primary education officer Subhash Chougule, told TOI that they do not understand why they are witnessing such a bad response, “We had to extend the admissions this year twice already in past one month, however, the number of applications have not increased by much. This is one of the lowest responses to the RTE admissions we have got in recent years”. Chougule added that the department is continuing with the admissions and the interested parents still can apply for admission in any of the eligible schools. Another official from the education department said that the the introduction of the online admissions system for the first time is most likely the reason behind the lower response. “Many parents are still not accustomed to the online admission system. They are used to the conventional mind set of the admissions, where a parent has to go to the school to manually enroll the child. The problem is more acute in remote and rural areas,” said the office. He said assistance was provided for parents in almost all the eligible schools but it did not improve the situation. Sattappa Mohite, a city based education activist said, “the education department is not making an effort towards spreading awareness about the admissions drive. Obviously, citizens are not familiar with the new admissions system and need to be guided and mare aware of the new format”. Last year, when more than 40% RTE seats remained in vacant in the district, the Kolhapur Zilla Parishad had asked district schools to take a survey in one km radius of school premises to identify any RTE beneficiaries. The admission process had to be extended to the month of September, after the poor response. Under the RTE act, economically and socially disadvantaged children, as well as those with disabilities, can be admitted in Class I or at the pre-primary stage, of private unaided and aided schools and receive a free education. Around 60 per cent of schools aided by the BMC’s education department don’t follow the Right to Education Act, while the remaining schools flout admission mandates under the RTE quota, as the authorities revealed in a response to an RTI (Right To Information) query filed by a law student. Out of 453 BMC-aided schools, only 179 followed RTE norms, but even these schools flout the RTE admission quota mandated by the government. While the schools were directed to admit a total of 9,838 students under RTE, only 1,357 were given admission – this is barely 14 per cent of the desired quota. The only institute in full compliance is the IIT Campus School in Powai. The RTI was filed by Nishita Banka, a third-year student at the NMIMS Law College, which has introduced RTI as a subject in its curriculum. Banka also enquired about the penalties imposed, if any. The BMC replied that no penalties were imposed for non-compliance of RTE, since there was no notification from the government about the same. “The response only relates to aided schools and highlights that only one in 453 schools respects the law. By their own admission, there is no penalty for defying the law and it is regrettable. Why keep a rule that is openly flaunted? If the authorities feel it is unwanted, it should be scrapped or it should be followed as per the law,” noted RTI activist Shailesh Gandhi said. Pune: Against every seat in the 25% reserved quota in Pune’s schools, at least two students have applied this time under the Right to Education Act, 2009. About 18,057 applications have been received for 7,900 seats this academic year. It means once the admissions are over, more than 10,000 students seeking admission to the English medium schools under the RTE Act would be left out. Activists fear with the admission process already over in the unaided schools, parents would be left with no option but to admit their children in municipal schools. Maitreyi Shankar, an activist from Kagad, Kach, Patra Kashtakari Panchayat (KKPKP), a union of wastepickers, said the best way out was to hold admissions to regular seats and those reserved under RTE simultaneously. Not only will it give more option to parents from disadvantaged families, but will also reduce the discrimination faced by students. According to the RTE Act, 25% seats in entry-level classes should be reserved for students from economically, socially and physically disadvantaged sections of the society. For open category students, the annual income of parents must be below Rs 1 lakh, or must belong to either Scheduled Castes or Scheduled Tribes or must have more than 40% to be eligible for an RTE seat. “The problem now is almost all schools have closed their admissions. So, these kids will have to opt for government schools. There will be some multiple entries among the applicants as well as some who have already taken admission but have applied under RTE. Even if we leave this number aside, a huge number of students will not get admission in any school,” said Shankar. Another major problem that the activists highlighted was the need to put a clause for including an income limit even in the socially disadvantaged category. 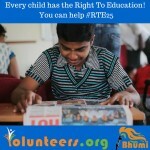 “This will ensure the really needy people get the benefit of the RTE Act,” added Kirdat. This year, when only two months were left for the academic year to end, the BMC’s education department conducted a second round of lottery on January 20, which was supposed to be held last year before the academic year started. Around 50 parents protested on Saturday in front of the State Child Rights Commission office in order to get justice for children from economically weaker sections (EWS) who were refused admission by city schools under the 25% Right to Education (RTE) quota. This year, when only two months were left for the academic year to end, the BMC’s education department conducted a second round of lottery on January 20, which was supposed to be held last year before the academic year started. That left many schools with no option but to refuse the admissions of those students whose names came up in the second round of the RTE lottery. The first round of lottery for admissions under the Right to Education (RTE) Act was held in Brihanmumbai Municipal Corporation’s (BMC) education office in Dadar on Wednesday. Almost 6,409 applications were confirmed out of the total 9,664 seats in pre-primary and primary classes. Also, 68 schools received no applications for RTE admissions this year. Under the RTE Act, 25% of seats in private schools have been reserved for children from the economically weaker sections of the society. The parents of children whose applications were selected in the first round will get a message on their phones about the school that has been allotted to them. Registration of schools was done from March 16-30 and applications for admission were to be submitted between March 31 and April 18. As many as 317 schools received online applications under RTE. Among them, the number of SSC board schools was 274. The total number of seats available in pre-primary section are 3,359 and for grade 1, 6,305. As many as 12,794 people registered and 6,409 applications were confirmed on Wednesday. According to BMC’s education department officials, the state government will reimburse only Class I students and not those who secured admission in pre-primary under the RTE quota. The online registration forms for 25 per cent quota admissions under the Right to Education (RTE) Act will finally be available from today. The standoff between private school managements and education department officials over entry level for next year’s admissions has been resolved and the former agreed to complete the registration process so that RTE admissions could begin. Scores of schools in both Pune Municipal Corporation (PMC) and Pimpri-Chinchwad Municipal Corporation (PCMC) had refused to register their schools in the RTE online database, citing reasons such as non-reimbursement of RTE dues of previous years and not being allowed to choose the entry point i.e. class in which students of RTE quota will be admitted. The education department even sent notices to schools threatening de-recognition if they did not register under RTE. Once the school registrations are complete then an area-wise database of schools and RTE seats will be available after which the education department can start taking forms of eligible students and allot admissions. On Monday, a meeting took place between representatives of school managements and education officials to resolve the deadlock. “Firstly, we demanded that the threatening letters be withdrawn and no action on de-recognition should be initiated. Secondly, we said that schools should be allowed to choose the entry point. 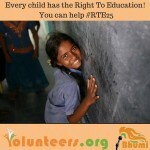 If schools want to give RTE admissions in Std I, then it is their right. Since state government doesn’t reimburse pre-primary dues, it cannot demand to give admissions in nursery. 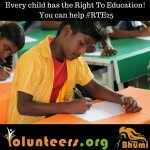 The schools will give 25 per cent admissions under RTE as per their entry point…. As education department officials consented, we decided to complete registration in interest of students even though our RTE dues for previous years are pending,” said Rajendra Singh, president of Independent English Schools Association. Meanwhile, Mahavir Mane, director of primary education, said that schools can take Std I as entry point but on one condition. “Our concern was that they give 25 per cent fresh admissions under RTE quota. Many schools have given admissions in nursery classes in previous years and those students will now come to Std I. We were initially against accepting change in entry point since schools could have pointed to old students who have got promoted in Std I and said there are RTE students at entry level. But schools have assured that besides students that get promoted, they will give fresh 25 per cent admissions,” he said. On Tuesday, many parents and volunteers of Aam Aadmi Party had held a protest at the directorate of education against the delay in the process. Mukund Kirdat, volunteer of AAP, said, “They have declared the date but should soon also declare the list of help centres where parents can go. Also this year, schools have been given right to verify documents and it could lead to issues as schools could reject valid documents too,” he said. While there is overall slow progress in the other districts of Nagpur division, the Orange City has shown substantial rise in number of applicants who are getting themselves registered to get admission in schools under the Right to Education Act (RTE). The total number of applicants from the city rose to 5,949 from 4,772. There is a rise of 1,177 applicants as on april 21. A day before, it was 1,500. Education Department stated that parents and children should not worry about their applications. They should make on-line application and the department would take all the care. It may be noted that most of the parents, after applying on-line, had called the Education Department to ensure receipt of their applications.